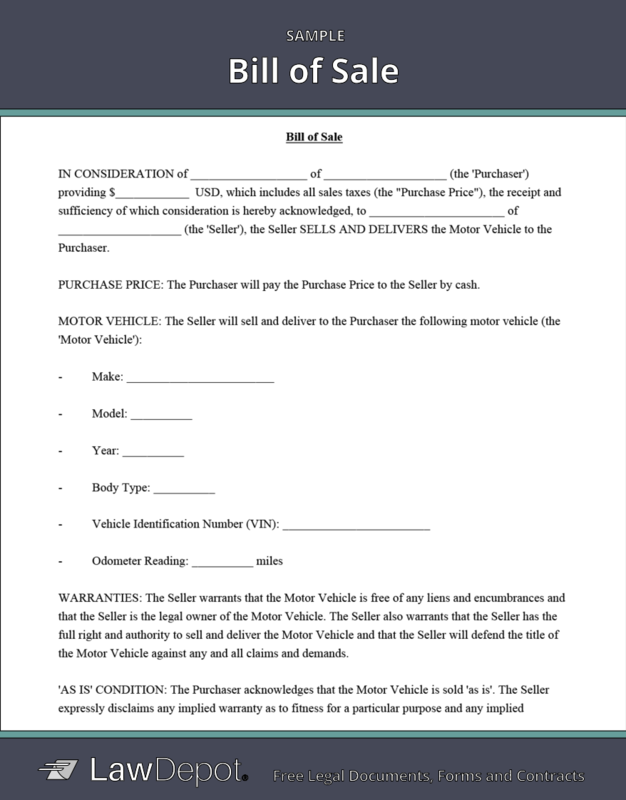 Does the Vehicle have a loan or lien that will not be paid by the Seller and will be the responsibility of the Purchaser? In almost all cases the Purchaser should NOT accept a Bill of Sale where there is a loan or lien or against the property unless the Purchaser intends to accept full responsibility for that outstanding debt. Can a bank loan be transferred to the Purchaser?A bank will not typically allow you to transfer a car loan to a Purchaser. You should not accept or mention a bank loan where the Seller is personally liable, because the Seller will pay it off with the sales proceeds.Should a loan or lien affect the price?Yes, if a loan or lien is to be passed to the Purchaser, then the purchase price should be reduced by a corresponding amount.